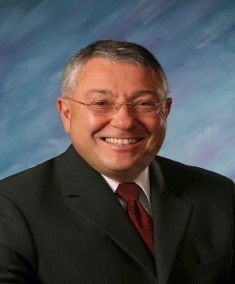 Ed is a Senior Consultant at Ferraro, Amodio, & Zarecki, CPAs and has over 40 years of experience providing investigative, auditing, and fraud prevention services to the public, private and non-profit sectors. He has directed and supervised hundreds of investigations and investigative audits involving employee corruption/misconduct, construction fraud, vendor fraud, procurement fraud, payroll fraud, and M/WBE fraud. In addition, Ed created and directed inspector general and investigative audit functions at three New York State agencies, and has extensive experience in working with clients in developing and implementing best practices fraud prevention and ethics compliance programs. In addition, Ed has managed Independent Private-Sector Inspectors General (IPSIGs) in the public sector involving major capital construction projects and served in an IPSIG role in the construction, organized labor, and technology sectors. Also, Ed has participated in the forensic audit of fifteen group self-insured workers’ compensation trusts, identifying governance deficiencies, financial anomalies, conflicts of interest, and other issues contributing to the dissolution and government take-over of these trusts. Ed is a Certified Fraud Examiner and holds Bachelor of Arts and Masters of Public Administration degrees from the State University of New York.